Organize and customize up to 14 sets of keys. Fits standard legal filing cabinets. 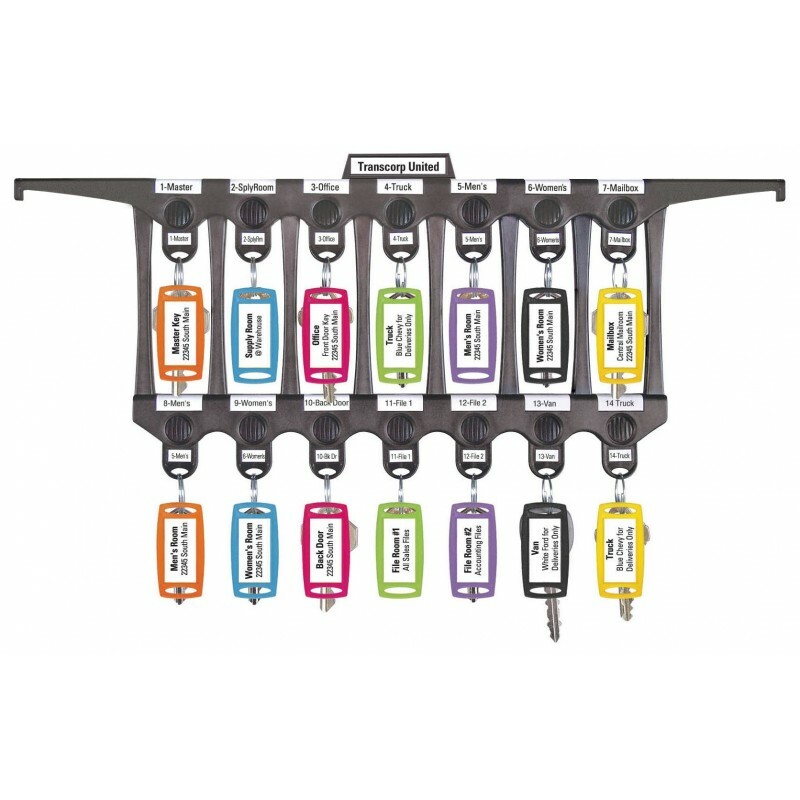 Comes with File-A-Key™ base unit, 14 key snaps with rings, tags and complete set of blank and pre-printed labels. Comes with small rectangular (#170) tags and blank labels as pictured.